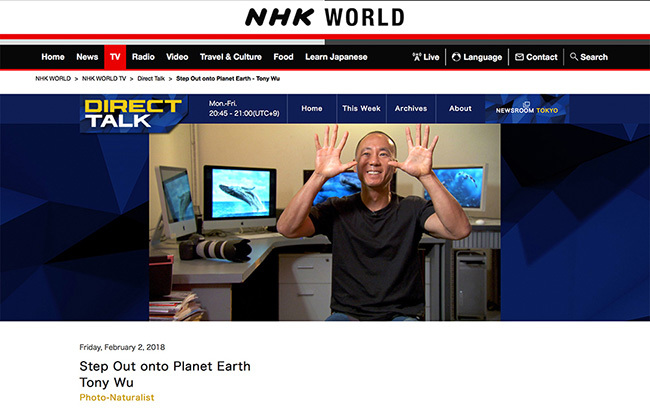 I will be appearing on the program Direct Talk on NHK World on 2 February at 20:45 Japan time for a 15-minute interview. NHK World is the English-language channel of Japan's national broadcaster NHK. The video will be made available at this link, though my understanding is that it will only be up for a couple of weeks. Kimiko-san, the interviewer, asked me a lot of questions while I was jet-lagged, so my memory of what transpired isn't entirely perfect. Plus, she fed me with lots of great(!) food after our discussion, which ensured that my brain remained foggy until the next day. I'm pretty sure that screenshot is from when I described my first encounter with a whale though. Besides chatting about marine life, we talked about some of the challenges facing the natural world now, including my contention that most people alive today have never visited the Planet Earth. My point being that urbanisation has resulted in the vast majority of humans today living in wealthy nations knowing cities and only cities. Lack of direct experience with nature—i.e., at sea, on mountains, in forests, etc., but not in manicured parks and gardens—makes it difficult, if not impossible, for most people to truly grasp the scale and pace of destruction we have wreaked upon the planet, even within my lifetime. I know I touched on the issue of ego-tourism as well—the destruction of nature and rampant harassment of animals for the sake of selfies and other bragging rights on social media—though I'm not sure what made it into the final cut. 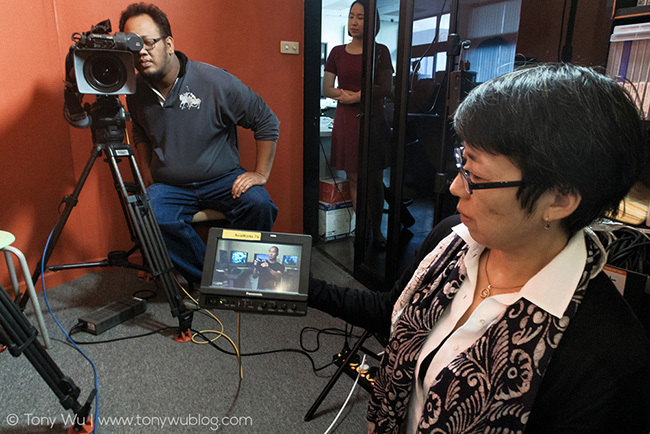 Tune-in if you're interested and happen to get NHK World. Otherwise, the video should be online in a couple of days.